The Arkansas Christian Academy Basketball program includes Boy's/Girl's Jr. Varsity and Varsity Teams. ACA Basketball is more than just a sport, we are family. We work hard, sweat, pray, and have a great time together, as we push each other to better ourselves both individually, and the team as a whole. Recently, the ACA Boys Varsity Basketball team ended the 2016/2017 season with a 14-13 record; and an exit in the second round of the AACS state tournament. This upcoming season ACA athletic teams are leaving the AACS conference and stepping up a level in competition, as we enter the OCSAA (Oklahoma Christian School Athletic Association). This move not only gives us the opportunity to play in this four state league (Arkansas, Oklahoma, Kansas, and Missouri), but also allows us to play against teams from the Arkansas Activities Association (AAA). This upcoming season we look forward to continuing the positive momentum and continuing to build this program into one of the top tier basketball programs in the state. If you are a player who wants to compete with teams from all over our region, are interested in competing at a high level of competition, and you have aspirations of competing at the collegiate level, ACA is the place where you can make a difference and see your dreams come true. The ACA Girl's Basketball Program is built around the acronym G.R.I.T. -- Greatness, Respect, Integrity, and Teamwork. Greatness - Supporting Athletes academic and athletic endeavors, while providing life skills which are essential to become a champion, both on and off the court. Respect - We hold our student athletes to a high standard for oneself, teachers, coaches, teammates, competitors, staff, and fans. Integrity - We demand integrity be a part of everything we do in competition, on the court, in the classroom, and in everyday life. Our athletes are taught to take ownership of their actions and do what is right, even when no one is watching. Teamwork - Teamwork ensures we are equipped to face adversity, as we strive to reach common goals. We encourage the team to think like a F.A.M.I.L.Y (Forget About Me, I Love You). In order for the team to be successful, we must put our teammates first and always encourage one another. Coach Clinton is originally from Lake Village, Arkansas. He and his wife, Charlotte, have been happily married for 32 years and share two children and two grandchildren. 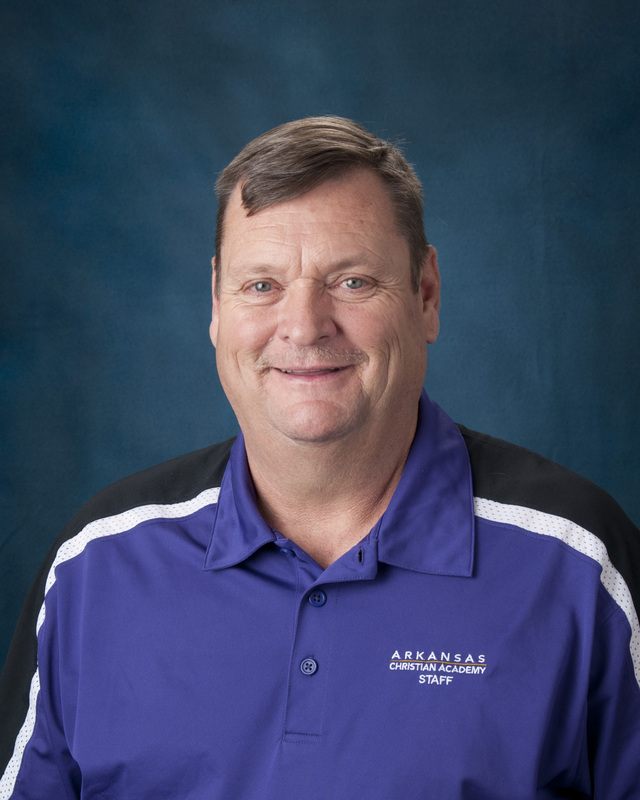 Coach Clinton has enjoyed 26 years of coaching and six years in school administration all over Arkansas and Texas. He has coached many sports including: football, boys and girls basketball, baseball, softball, golf, boys and girls track, and girls soccer. This is his second year at ACA and first year coaching our boys basketball team. Mr. Clinton also serves as our Head of School. Coach Thomas is originally from Sheridan, Arkansas. He is happily married to his wife Lauren and they are parents to a little boy named Ritter. 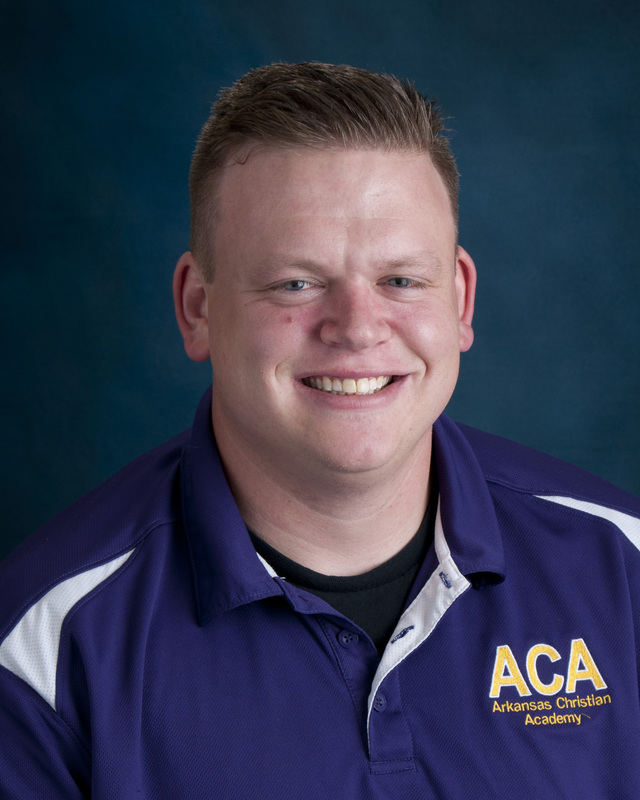 Coach Thomas has been coaching basketball for 4 years and under his leadership, the ACA Girl's team has made back to back appearances at the AACS state tounament. Coach Thomas teaches PE and History in the Middle School.